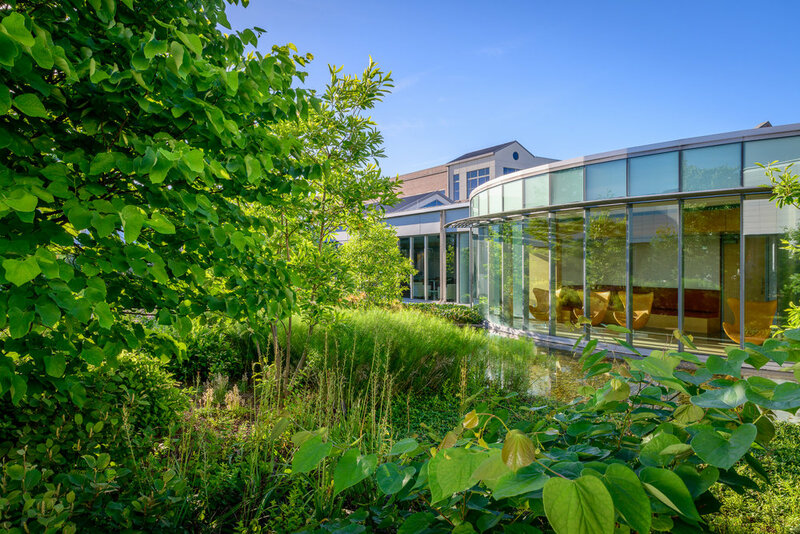 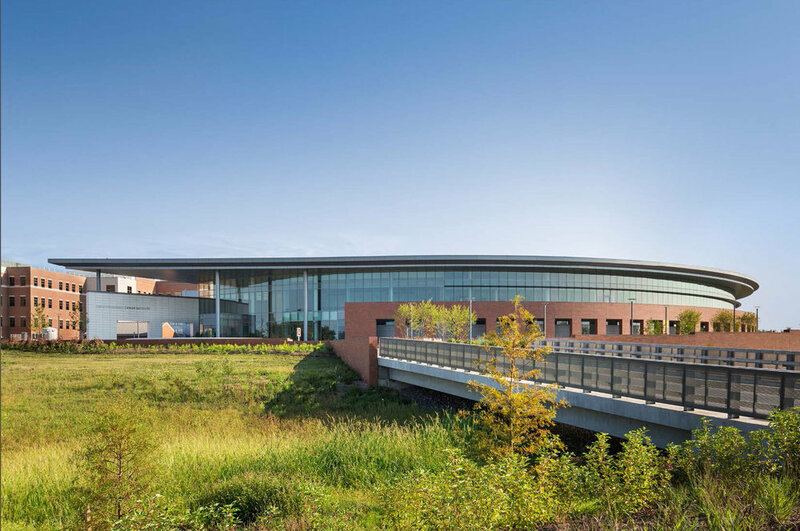 The master plan for the Ann B Barshinger Cancer Institute at Lancaster General Health creates a logical framework for the hospital’s campus while demonstrating itself as a model system for stewardship and sustainability. 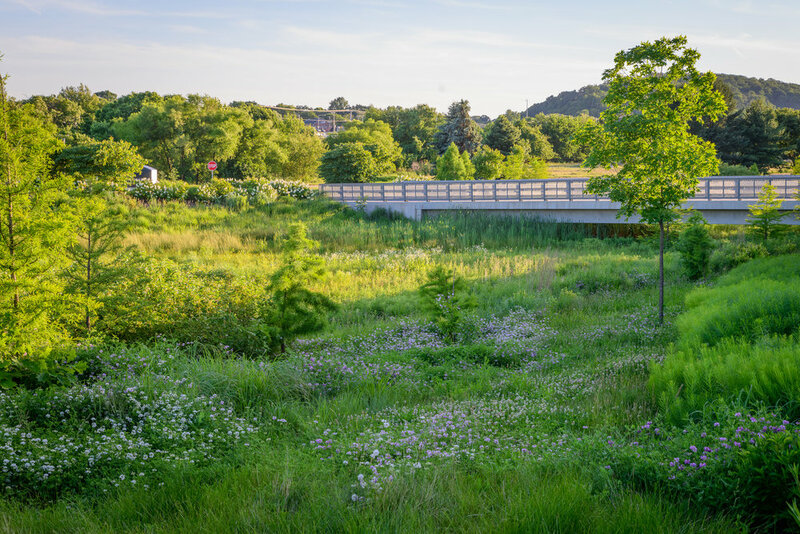 By using contrasting elements of native meadow, water, and simple landforms, the plan allows for a natural sense of way-finding with minimal signage. 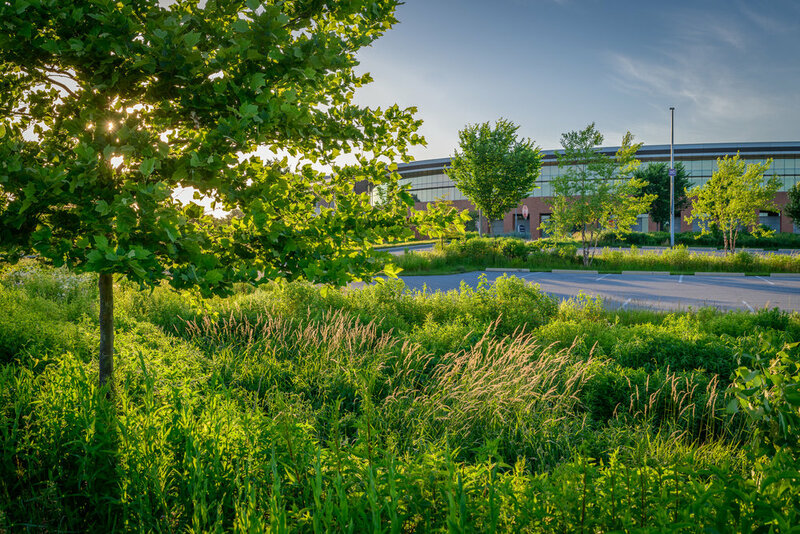 Best management practices, including rain gardens and native meadows, are used in the parking lots to collect runoff from the paving before reaching the detention basin. 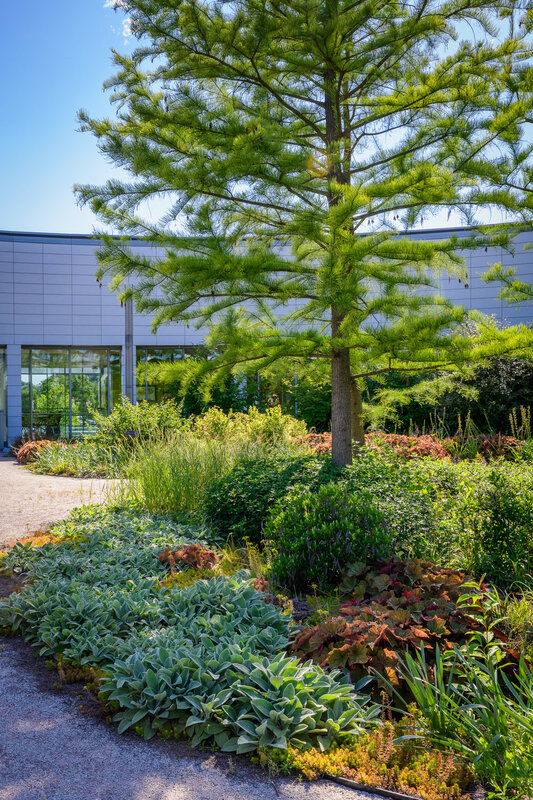 The healing garden occupies the central courtyard and creates a variety of spaces for quiet meditation while maintaining ADA accessibility. 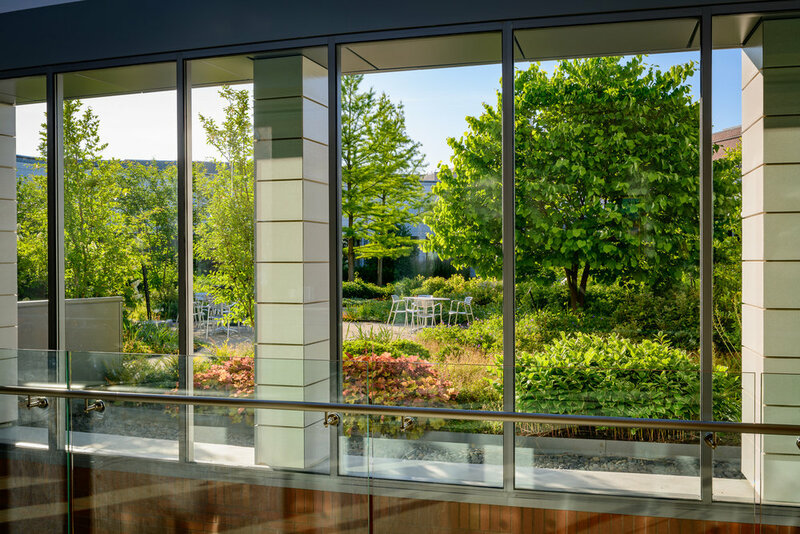 A glass curtain wall surrounds the garden and blurs the line between interior and exterior spaces, while views out through the building create a connection with the larger landscape beyond. 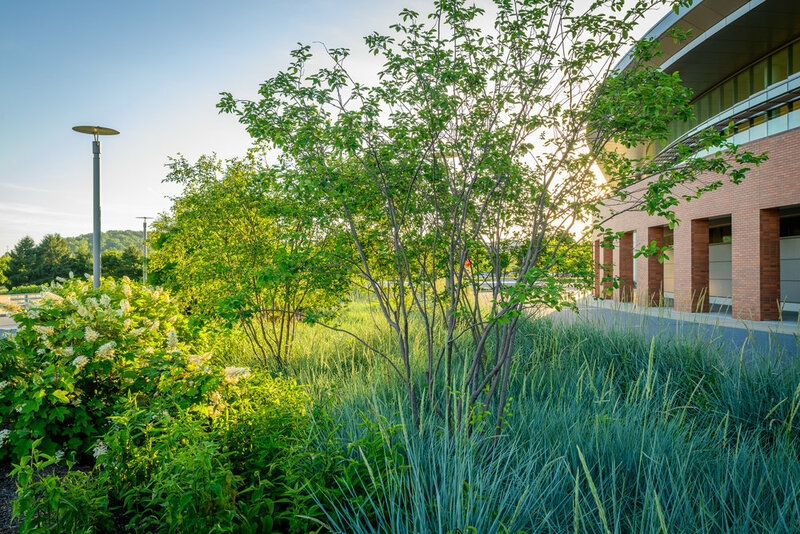 Throughout the landscape, water is used as an element of continuity and as a demonstration of sustainability. 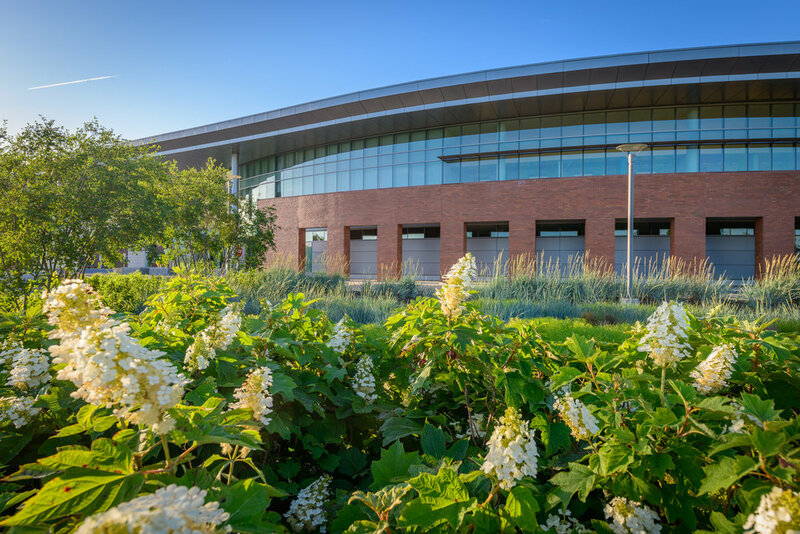 The 28,000 square foot roof’s water runoff is captured and conveyed into courtyard water features before entering underground cisterns to be used for irrigation or bypassing into the larger pond and wet meadows beyond. 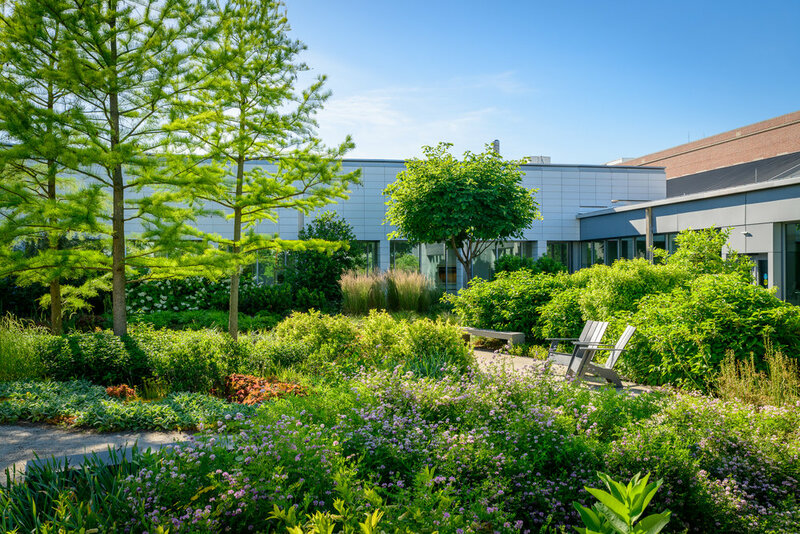 Specific plant species were chosen to make the healing garden a sensory experience for patients and visitors alike.